Thailand hosts a wealth of butterflies, many of them are really beautiful like shown in this butterfly photo of a Common Rose butterfly (Pachiiopta aristolochiae). 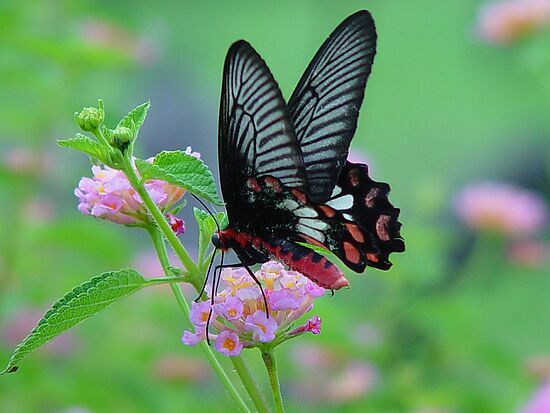 This Common Rose butterfly is nectaring on pink Lantana flowers that fit to the rosy and pink color of the butterfly body and wings. The photo was taken at a public park located in the city centre of Khonkaen province, north east of Thailand.